Striker Alexander Sorloth made his debut in Crystal Palace's last match against Everton, starting alongside Christian Benteke, and Roy Hodgson is again expected to pair his imposing front two together against Tottenham Hotspur. 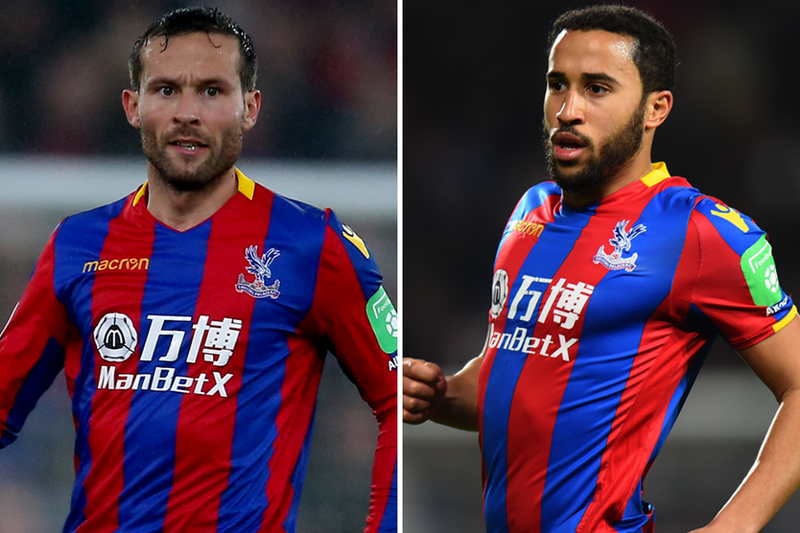 Andros Townsend and Yohan Cabaye could be key men in providing the duo with the right ammunition at Selhurst Park on Sunday. They are the Eagles’ most regular crossers and will be tasked with delivering the type of service which asks questions of the Spurs defence. Palace bombarded Everton with 13 second-half crosses last time out, and I would anticipate Spurs having to deal with a barrage in south London this weekend. In the absence of the injured Wilfried Zaha, Hodgson has to use different assets, and the presence of two big strikers means it would be foolish not to adjust the strategy. Palace seemed to target right-backs Seamus Coleman and Jonjoe Kenny, who came on at half time, at Goodison Park in their last fixture. Benteke and Sorloth both drifted to that side of the pitch as a matter of course. With this in mind, don’t be surprised if the hosts test Spurs' 5ft 8in full-back Kieran Trippier at Selhurst Park. Expect diagonal passes to be aimed into that area. While I would expect Mauricio Pochettino’s side to provide a serious goal threat of their own, they must ready themselves for a physical bombardment in this London derby. The quality of Palace's deliveries into the box will be a key factor in determining their success.